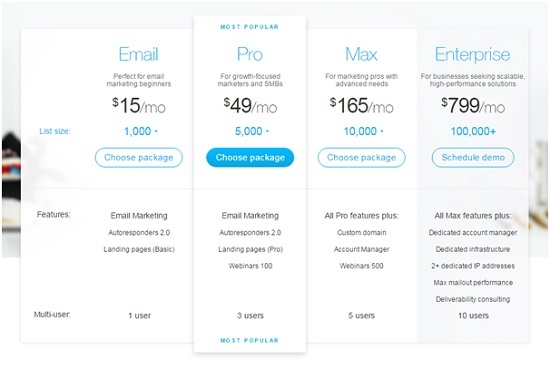 Hello everyone, today in this article, I am going to compare two ultimate landing page builder tools, GetResponse Landing Page Builder and the Instapage Landing Page Builder. Before it let’s have a brief focus on Landing Pages. Email marketing is one of the important things that matter to maintain the traffic requirement of a blog or website in a long run, or to provide the deficiency of number of sales or number of leads for eCommerce businesses. If we want to start with email marketing, before getting into any further, the very first requirement is to build an email list. In other words, we need email subscribers who would subscribe to our blog, website or any other online business so that we can send them notifications or other info regarding the promotion and a lot of other things. There are further so many ways to build an email list. Email lists can be built organically using the right promotional techniques or using the paid options also. But the best list is the organically generated list which is the collection of the genuine people who might be fully interested in the contact that we are providing them via email. One of the Best ways among all is the Landing Pages. Landing Pages simply and directly attracts other to subscribe to you or your blog, website or other content. Landing Pages are the special pages which a blog or website separately and specially have with some kind of subscription forms. They attracts the one time visitors of an online portal to be a regular visitor by converting them into subscribers. Thus, in short we may say that Landing Pages are really useful in conversions. This concept of increasing the conversions is clear to most of email marketers. That’s why they never ignore to have landing pages to build their email lists. Next step comes to create a Landing Pages. Now, there are a lot of ways to create a landing page. You can yourself create a landing page using a simple page by implementing some widgets or elements in it. But such type of pages do not perform well in conversions. The things that require to build a professional and attracting landing page should be professional. 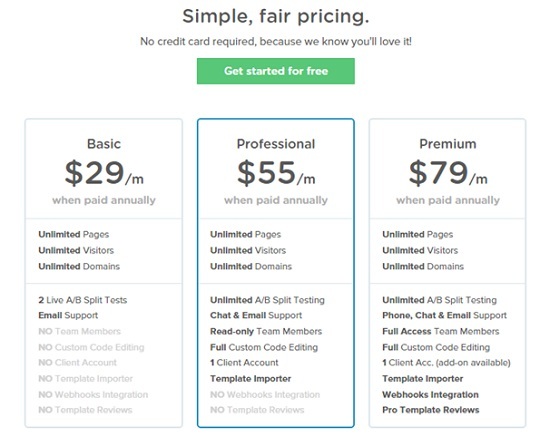 There are many tools to build landing pages. We are going to compare the features of two Best among them which are Instapage and GetResponse Landing Page Builder. v Design the Landing Pages using their amazing Drag and Drop editor without getting into the hassle of any kind of coding. You do not need to be techy at all. All of these things are responsive and all portable devices capable as well. v One of the Best features of an email marketing tool is the integration features. Instapage can integrate with all major email marketing services and tools that are 20+ in number. v You can publish your freshly create beautiful landing pages directly via your CMS such as WordPress or the host such as Godaddy and many more. v Using their A/B testing features, you can track what works the Best for you and can track all other necessary analytical information for the betterment of your email marketing work. v They also provide a number of beautiful templates for the Landing Pages, or you may say the lead capturing pages and the Thank You pages as well. These templates are 80+ in number that you provide full flexibility to start with it. Æ They provide more than a hundred temples that also includes pages like Thank You Pages to touch the highest level of your visitor’s engagement. Æ I have never seen the Drag and Drop WYSIWYG (What You See Is What You Get) editor like they offered to create beautiful landing pages that are truly very much eye candy. This feature allows you to customize each and everything visible on your Landing page up to great extent. Æ You can get subdomains to host your landing pages or can also use your very own domain name to publish the landing pages also. They offer free hosting to host the landing pages built using their Landing Page Builder. Æ They provide incredible web forms to capture leads and other information what you will be required for your strategy of email marketing. Æ They offer a special image editor to keep an eye on the work of management of visual looks of the landing page that you would be using to generate leads for you. The image editor they offer will give you all of the basic features that a professional Image-editing software will give you but the twist is in an easy drag and drop way that you will love to use. They provide a collection of 1000+ free images to include and offers other things such as filters and stickers also. Æ Coming to the point, which finally make all of the non-techies to love this tool. You do not need to code even a single line to do anything for this. You can do all the things while making the landing page such as moving, dropping. Resizing, addition, embedding of various elements on the go without any worry and need to worry about doing or using any techy things. Æ It provides you the A/B testing features using which you can judge what works the Best for you and your module and can do the timely implementation to achieve big goals. It also offers an easy Google Analytics Integration to track the traffic details also for your landing pages. Æ Make use of this Landing page builder to implement some social networking features also, such as embedding YouTube videos and adding Facebook like button. Both offers a free trial. GetResponse offers 30 days free trial while Instapage offers a 45 days free trial. Here below are we’ve given the screenshot of the official pricings of the both tools. Both offer good pricing. GetResponse Landing Page builder is an additional tool which one get along with the all of the other email marketing features also while Instapage pricing is just for the Landing Page Builder tool. That’s why after reviewing all of the features and pricing, we conclude GetResponse Landing Page Builder to be the Best tool to create landing page builder for us.